As digital SLRs become more mainstream, so too does the need for lighter and more capable lenses. Both the Nikon D60 and D90 cameras have proven in sales that people want what Nikon are creating and the new 35mm F1.8 lens take the desire for a proper portrait angle & low light, merging them without any problems. Nikon's new 35mm F1.8 lens. 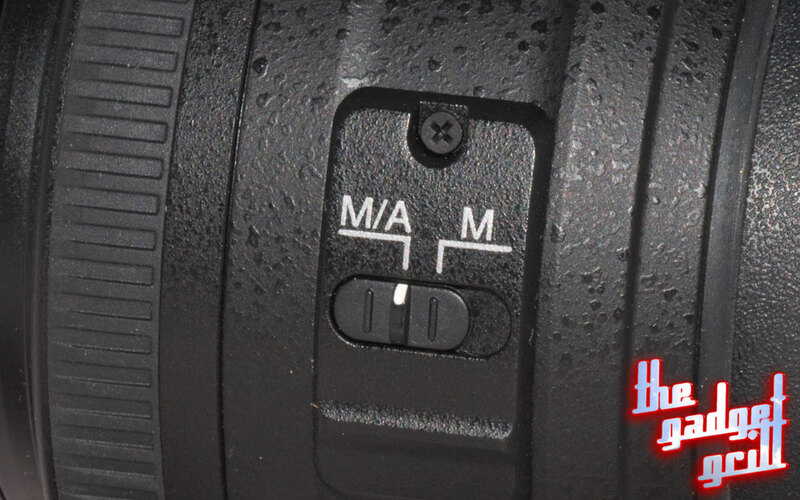 While most people might be satisfied with the kit lenses their cameras come with – lenses with lengths that range from the wide at around 18mm to the middle at 55mm and even up to as far as 120mm and 200mm – some have found the limitations that are inherent in these walkaround tools. Often, the lenses just don’t perform well under low light forcing you to use the flash. This is where prime lenses often step in, and with Nikon’s new 35mm 1.8 lens, even beginners get a good focal range and an added benefit of low light with an aperture getting down to F1.8. This low aperture means you can take your 35mm lens to places that are darker than what you might normally use and get shots without having to resort to the flash. While the body is made of plastic, it still feels quite good. In testing, we found that the lens was very quick and quite sharp. Using both a D60 and D300 as test cameras, each were incredibly quick to acquire focus lock in evenly lit areas as well as somewhat dark places too. While it doesn’t quite have the extra stop that a lens like the Nikon 50mm F1.4 has, it’s still an impressive lens that could become the kit lens quickly for an amateur looking to jump to being more professional. Or at the very least, someone who wants to learn more about photography without the flash. The left shows the Sigma 30mm F1.4 against the Nikon's Nikkor 35mm F1.8 lens on the right. The only real competitor for this lens is Sigma’s 30mm F1.4, a larger lens that weighs a lot more and gives a slightly wider field of view while allowing you to go one stop down extra in the process. 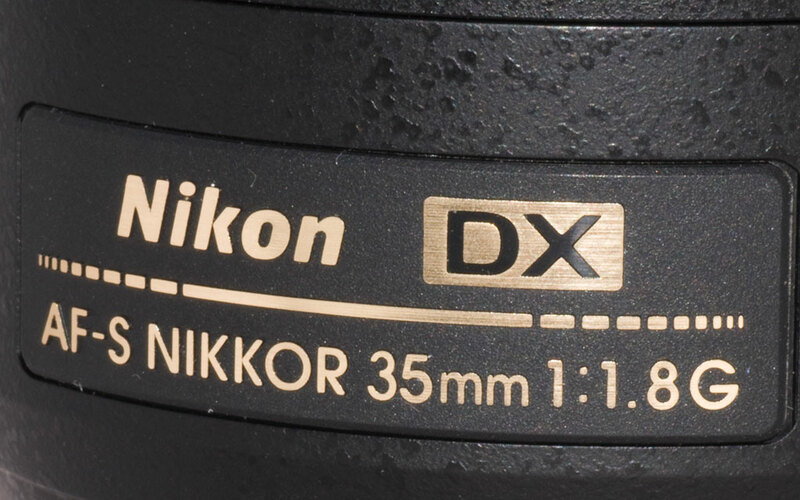 While the extra 5mm can make a difference – especially on the 1.5X crop sensor that Nikon uses – and the extra F-stop gives you a little bit more light to play with, the overall difference is that the Sigma has less of a build quality comparatively. Despite the Sigma being made of a heavy metal design, the metal has been painted and that’s an area we’re seeing serious wear in only a couple years into ownership. 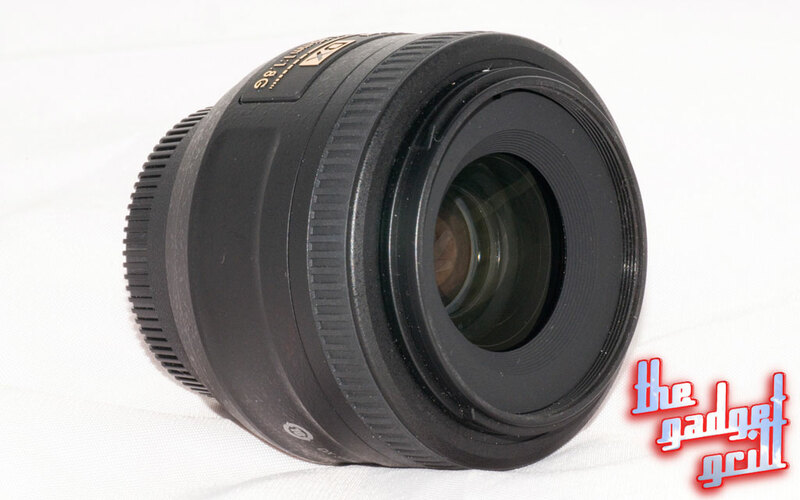 The Nikon 35mm 1.8 lens is made of a heavy duty plastic which, while protects it, also serves to make the lens feel more solid than otherwise expected. The difference in aperture on this lens: the left shows it at F1.8 while the right shows F22. What was interesting was the level of difference between that of the Sigma and the Nikon when we started to look at aperture ranges. In the low-end as the lens opens wide (around F1.8), the Sigma had more options. Being that the Sigma was a 1.4 and the Nikon a 1.8, this didn’t exactly put them on even footing but you could still see the Sigma gave more range when picking an aperture. It was when we got to high aperture range – where things got really sharp – that the Sigma got trounced. The Nikon 35mm 1.8 seems to have more versatility over a wide aperture range here. It's even got that nifty Manual / Auto switch as most Nikon lenses come equipped with these days. You might be hard-pressed picking between them if you had to as they’re both excellent lenses, but after owning the Sigma 30mm F1.4 for a while, we can safely say that we’d probably stick with the Nikon 35mm F1.8. Hello there, just wandered by. I have a Nikon site. Can’t believe the amount of information out there. Not what I was looking for, but interesting page. Have a nice day.